Surprisingly UPS delivered early today. Just set my HomePod up. I'm pretty impressed. This little speaker sounds great. It's mind boggling IMHO. After trying music I just tried a few movie trailers via Apple TV 4 and the sound is very cinematic indeed, way better than the surround system in fact. I will be buying a few more for other parts of the house for sure. Yeah, I get the impression that we ain't seen heard nothin yet! I have a bunch of different bluetooth speakers. My favorite has been the Marshall Stanmore. That's been my go to wireless speaker for a while. The HomePod sounds just as good, if not better than the Stanmore. The Stanmore probably gets louder but I don't listen to music with the volume full blast. It is. What's great is how small it is, yet it packs such a powerful punch. I definitely will be buying a few more to put in other rooms in my house. I had been using a Marshall Stanmore, but that thing is so big, it looks kind of stupid having it on an end table for example. 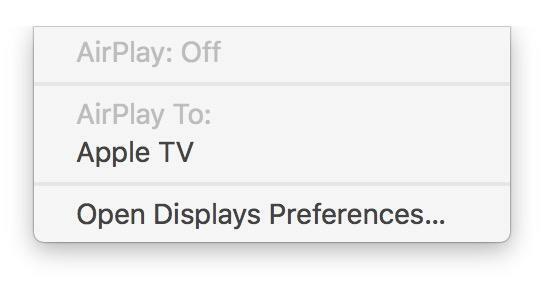 EDIT: I'll have to try that with the movie trailers on Apple TV. So, would I be out of line to suspect that best separation for a stereo input source would be achieved at the center of symmetry of a room with symmetric placement of the HomePod? Soli noted he was configuring a mirror image of what Apple was demoing, and was achieving poor separation results, which I think would have been expected by that configuration and position of the listener. I'd take the animations that Apple provided with a grain of salt and perform measurements using instrumentation. Just looking at the HomePod physical design and the number of projectors that it has makes me think that the stereo separation with a single unit is not going to be very discernible unless you are feeding it tractable higher frequency test tones on each channel. I just think that the big woofer is going to dominate so much of the produced sound with low directionality that the stereo effect is going to be minimal until you go with a dual unit setup. I think Apple's primary focus with this product is to produce a consistent and satisfying sound no matter where you are in the room by reducing negative acoustic effects. For the HomePod to produce an optimal stereo effect at a specific point in the room it would have to have a way to sample the composite sound at the point of interest, i.e., a feedback microphone located at the listening spot. Perhaps they'll figure out how to do this type of dynamic downrange tuning someday with a wireless microphone that talks to the HomePod. The HomePod is tuning itself today, but by sampling reflections/reverberation at the projector location, not downrange. I'm going to install the possible beta OSes so I can more fully test the device, and since that will allow for multiple units to be used at once with AirPlay 2 I may get a second to test the sound, but I'm guessing I'll end up returning it (them) because it's not even coming close to sounding as good as my current setup or having the ultiity of Alexa despite this home being dominated by Apple products. For scale, I am told, the HomePod is about the size of a pineapple (minus the leafy hat). How does Siri work with tasks the HomePod can’t handle? Do they get pushed to your iPhone or iPad or does Siri say sorry I can’t do X on the HomePod? If I ask "Hey Siri, what's on my calendar?" I get the response: "I can't access your calendar here. Sorry about that!" Wow I’m surprised it wouldn’t push the request to your phone. Lol... Many of you will never experience listing to music playing simultaneously on the homePod and the iPod HiFi... sigh. I've also been unable to connect the HomePod to my Mac either through my Mac or through the HomePod, yet with the Echo I can have it connect with a simple voice command. HomePod doesn't even show up under AirPlay when on the same network as my Mac and with the same iCloud account. This is less convenient than AirPods which does this seamlessly. Yeah, what's that all about? I have the Mac Reflector app -- which is supposed to set the Mac as a target to Airplay. I'll look into it later -- haven' too much fun playin'. On another note, AlphaGoogle would be smart to make their iOS Youtube app support homePod. When I read “loud” and “booming” I’m disheartened, might as well describe it as Ghettoblaster. What I was hoping to read is detailed imaging, powerful, effortless, clean, well controlled sound with depth and proper imaging. There is notably nothing written about combining two or more into a stereo or surround setup, neither anything about using the built-in Bluetooth to hook up computers, phones, video projectors, etc. which are capable of using BT speakers or hands free devices. Disappointing, not just that these capabilities are lacking, but also that similarly lacking is a roadmap of features to be added by future software updates. As I mentioned a few posts back, an iPhone at the listening spot could probably do what you are asking, so I'm not seeing the requirement for another feedback microphone in the case of downrange measurement. Just send out test tones to the iPhone, and then ask the iPhone to send that file back to the HomePod. Probably more complex than that, but would certainly work for HomePod to find the location for the listening spot. After that, the HomePod could run its algorithms with a bias to the listening spot. All of this is assuming Apple would want to add that capability. Correct, there is no streaming over bluetooth even tho the HomePod includes it. It will eventually, I feel pretty safe in saying. I think the HomePod is in a nascent stage at the moment: its "brains" and abilities have plenty of capacity to grow over time -- and this is pretty much how Apple does things. Photos wasn't a great product in 1.0, but it is now pretty awesome. The first iPhone couldn't even copy and paste, and had no apps other than Apple's apps; this would be inconceivable now. In this case, Apple isn't planning a "HomePod 2" that will make yours look stupid in two years; instead, they built in lots of capacity for upgrading, very much the way my iPhone 6s still runs the latest OS and (as a result) constantly learns new tricks. Over the next couple of years I expect improvements to Siri and HomeKit smarts, better integration with iPhones, probably an eventual app for Android to control HomePod (inasmuch as Apple Music runs on Android) and other new capabilities as time goes on, much the way Alexa devices can be "taught" new "skills." I'm very, very pleased. I've got to say, the microphones are a-MAZ-ing. I have my speaker in the kitchen, and from my office next door (about 20 steps away) I can speak in a very slightly raised voice "hey siri, who is playing?" and it will identify the song even with music playing at a volume that makes it hard to converse if you're next to the speaker. I don't subscribe to Apple Music, but I do hav iTunes Match. It found my music just fine, and is able to identify the artist while it's playing without a hitch. I wasn't quite as blown away by the sound as I was hoping for, but it is definitely very good and very clear, and definitely better than my Yamaha wx-030. Of course, it cost more so it should. Hopefully it is considerably less fiddly. The Yamaha keeps forgetting how to play music; I could never count on it working when I would stream via airplay to it. The setup process was just as simple as it possibly could be, it was very slick. I will almost certainly be buying at least one more. Here are some vocals and piano that sound pretty good on the homePod. Download them and put them in your iTunes Library. These are mp3s created on GarageBand -- then later Logic. Mystified sings over herself in the first song and has about 8 tracks. So here's my takeaway so far. Please be advised I've had mine for about an hour. It sounds alright for its size. VERY heavy on the highs, and the crossover frequency for woofer seems problematic as well. Bass is good for a 4" woofer, but will sound shallow to people who are used to more robust offerings. This feels like it was EQ'd by Beats. Mids get completely drowned when there's a lot going on. Listening to one of the fuller parts of Zero 7 - Home i literally winced because it sounded so bad. I'm not doing the review for this, but i figure i'd let you guys know what i think so far. I think it's the sound king of the smart speakers, but that's not exactly a prestigious title.